Shivaji University, established in 1962, is located in Kolhapur, Maharashtra, India. It is best known for its literature, arts, commerce and science departments, as well as biotechnology and environmental studies in Maharashtra. The University is named after Chatrapati Shivaji, founder of the Maratha Empire. It was inaugurated on 18 November 1962 by Sarvepalli Radhakrishnan, then the President of India. One of the major objectives behind foundation of this University was to cater to the regional needs of South Maharashtra. The jurisdiction of the University is spread over four districts (Kolhapur, Sangli, Satara and Solapur) with roughly 200,000 students studying in 275 affiliated colleges and recognised institutes. This region of Maharashtra boasts of rich and varied socio-cultural heritage. Under the innovative and socially reformist leadership of Chhatrapati Shahu Maharaj, the princely ruler of Kolhapur, the city had become at the beginning of this century, a focal point of educational opportunities for all classes and communities of South-Western Maharashtra, and northern parts of neighbouring Karnataka. This is also land of Karmaveer Bhaurao Patil, who struggled for taking education to the masses by his innovative 'Earn and Learn' scheme. When the University was founded by the Shivaji University Act of 1962, the objectives set before the University included making opportunities of higher education accessible to rural youth, conducting fundamental and applied research in the field of science and humanities to ensure regional growth and development. In 1962 the University started functioning with 34 affiliated colleges and about 14000 students with 5 Post-graduate Departments on the campus. Today the number of affiliated colleges has gone up to 248 and students strength up to 2,00,000 with 34 Postgraduate Departments on campus. The University imparts education in 10 major faculties of Arts, Social Science, Science, Commerce, Education, Fine Arts, Law, Medicine, Ayurvedic Medicine, Engineering and Technology. The University has started Post-graduate teaching centre at Solapur in 3 Post-graduate Departments. During initial two decades the efforts were concentrated on expansion of higher education and foundation of new colleges in different parts in the four districts under its jurisdiction. The University consolidated its base in this phase by 'taking education to the people'. The decade of 1980s saw a major expansion, especially the growth of professional faculties like Engineering, Education, Management and Medicine. The recent phase of the University can be termed as "a pursuit of academic excellence". Since last 4-5 years, several attempts are being made to overcome the image of University as a regional University. Several steps have been taken to raise the standards of teaching and research so as to measure up to global standards. This is being achieved by exploring new areas of higher learning and research in rapidly emerging fields like Industrial Chemistry, Space Science, Environmental Science, Bio-Chemistry, Sericulture, Polymer Chemistry and Computer Science, in addition to basic science disciplines. The University Department of Physics has been recently identified by UGC for its Special Assistance Programme and recognised as Department of Research Support. New research areas in these departments are Super conductors Energy, Bio-diversity and Bio-technology. The University has also established the University-Industry Interaction Cells in four districts. The faculties of Arts and Social Sciences are also gearing up to meet the demands of changing time. Establishment of Centre for Women's Studies and extension activities through Adult and Continuing Education and Shramik Vidyapeeth are indicators of this change. Department of Economics has been selected by UGC for its Special Assistance Programme. Departments of Sociology, Education, Geography, Physics and Economics are offering special courses in emerging areas like Environmental Science is also functioning actively. The University is encouraging merit by introducing a unique scheme called 'Shivaji University Merit Scholarship' offering 500 scholarships to meritorious students in affiliated colleges. It has also instituted research fellowships for Ph.D. students. This University can proudly claim to be the first University in India to initiate such a scheme. The University's efforts towards excellence are being recognised by the substantial grants received from funding agencies. Another indicator of recognition of University is collaborations with premier institutes in the country. Shivaji University has recently signed MOU with Bhabha Atomic Research Centre, Mumbai for research in Material Science. It has also joined hands with Indian Institute of Geo-Magnetism, Mumbai and industries like Phyto-Pharma. Prestigious institutes like Maharashtra Police Academy, Nashik and Centre for Social Studies, Surat have sought affiliation with the Shivaji University. Quest of academic enrichment and pursuit of excellence of the University are facilitated by efficient administration. The University has maintained the high standards of general administration, prudent financial management and a cordial rapport with funding agencies. The future plans of the University include establishment of School of Rural Management, Research Institute of Bio-Technology and Advanced Centre of Information Technology. 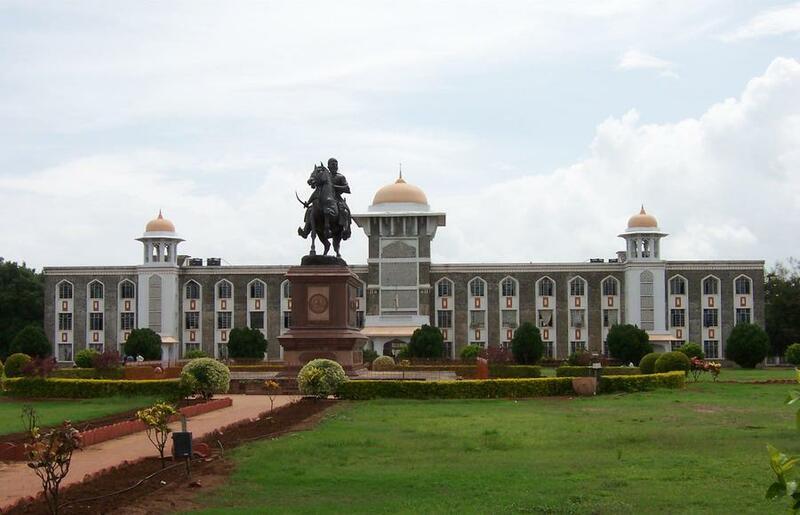 Shivaji University, Kolhapur has 346 affiliated Colleges. Click here to explore them. Shivaji University, Kolhapur has 32 Departments listed that offer various academic courses. 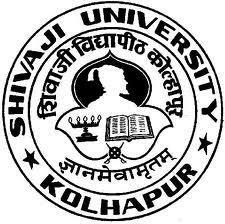 Are you Interested in studying at Shivaji University, Kolhapur?